CGA summer go camp: We’re now ready to accept registrations. As previously noted the event will take place August 18-23 2019, at Jouvence resort inside Mount Orford national park. Please go to the camp web page for more details and follow instructions to register. This is going to be a very special event, don’t miss it! 2019 CGA online league about to start: Registration closes for the first session of 2019 this Tuesday January 15th. 36 players are already registered. As always this is a great chance for some serious games with friends in the Canadian Go community. New Go web site: Since gogameguru.com stopped active publishing a couple years back there has been a gap in English language online publishing. The web site explore baduk has now opened, and it is producing significant content. 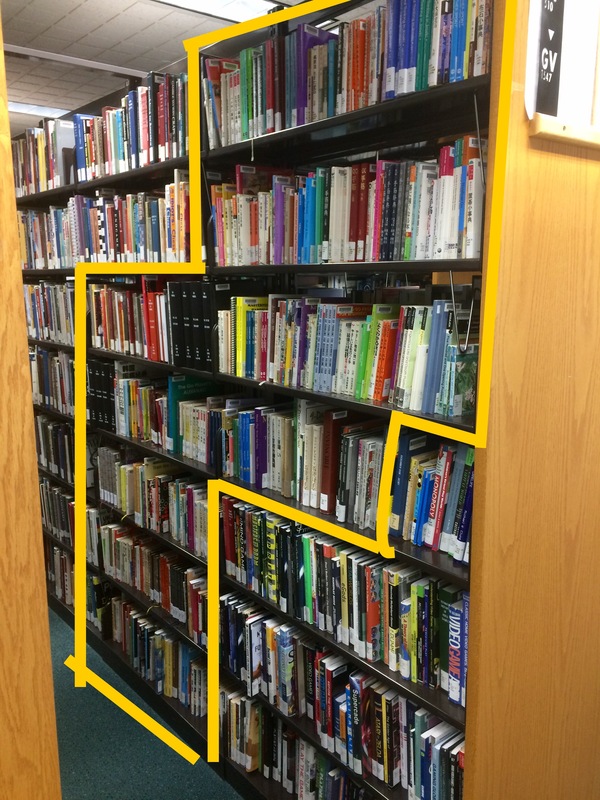 There is a book reviewing what it is like to study (as a European) at a Chinese Go school. And there a a regular sequence of articles being published with game reviews, new variations, etc. Definitely worth adding this site to your regular browsing! 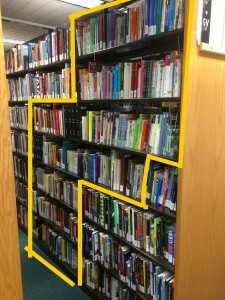 They are making heavy use of AI analysis, making it possible to produce studies in English that couldn’t have been done before without feedback from top professionals. Yoon-Young Kim 4P reviews top professional games: A couple years the AGA YouTube channel regularly had this sort of review. But recently they have been focused on the Alphago game reviews, along with some of Michael Redmond’s personal games. These are wonderful, but its also nice to see top tournament games reviewed. Yoon-young kim has stepped in to fill some of this gap. Recent reviews include games from the Tianfu cup, and the Chunlan Cup. Have a look at her twitch channel, and enjoy! The 5th World Students Pair Go Championship takes place from Nov. 30 to Dec. 5 in Tokyo this year, held in parallel with the 29th International Amateur Pair Go Championship. We are seeking one North American pair, one man and one woman, who must be US or Canadian citizens, amateur players, enrolled in college, university, or graduate school, and under the age of 30. All food, accommodation, and air fare is covered and the standard of the experience … food, play, company, tourism … is very high. Standard AGA and CGA eligibility rules apply. Please contact Andy Okun at president@usgo.org as soon as possible, but before Sept. 7. Pairs will be given preference, but often we assemble a pair out of interested individuals. 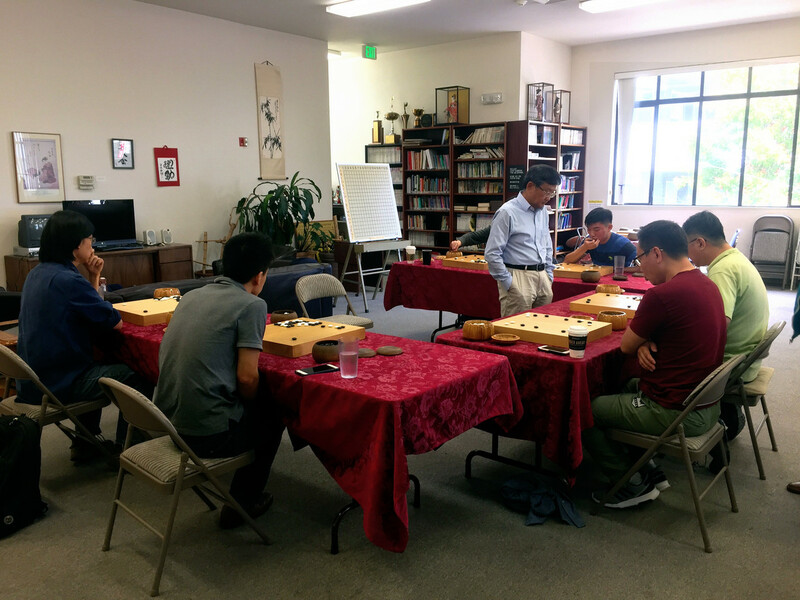 Chinese professional Yang Yi 6P, Vice Chairman of Chinese Weiqi Association, played a simul with seven local players at the Seattle Go Center on July 7. He had dropped by the previous month while in town visiting family and agreed to return after a trip to Hawaii. Yang is a widely respected go player and teacher in China, “where many famous Chinese go players, including Gu Li, have benefited from his instruction,” reports Seattle Go Club manager Mike Malveaux. “The simuls event on July 7 was very successful,” Malveaux reports. “The Go Center is very grateful to Mr. Yang for making time to visit and teach!” Yang has visited the west coast before, visiting the San Francisco Bay area and Los Angeles after the 2013 Go Congress in Tacoma, WA. Aaron Ye (at left) is 16-years old and from Cupertino, California. He started playing go at the age of 6, and won the Junior Division of the US Youth Go Championships for three years in a row from 2010-2012. He went on to represent the US at the World Youth Go Championships three times, where he achieved 4th in 2011 and 6th in 2012 in the Junior Division ,and 3rd place in the 2016 Senior division. In addition, he represented the US in the Liming Cup and the World Amateur Go Championships. To add even further to his list of achievements, he achieved the title of Redmond Meijin in 2017 for winning the Redmond Cup five times–a feat that had only been accomplished by two other players in the history of the tournament. If he can hoist the championship trophy once more this year, he will have won the title more years than anyone else. These days, Aaron doesn’t have much time to study go, but he plays casual games with his friends in his spare time and teaches go at a local Chinese school. For this upcoming match, Aaron told the EJ, “[Jeremy and I] had played many games in the past and through those games, I can tell that Jeremy is a talented player. I respect him a lot and wish him good luck for the game.” Outside of Go, Aaron enjoys playing tennis and watching Chinese dramas, particularly recommending Ten Miles of Peach Blossoms. Jeremy Chiu (at right) is 16-years old and from San Jose, California. 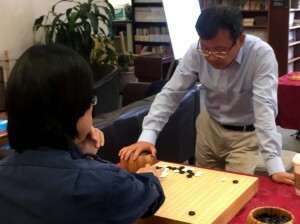 He started playing go at the age of 5 through a class at his local Chinese school, and studies under Mingjiu Jiang 7p. While under the shadow of Aaron Ye’s dominance for many years in the US Youth Junior scene, he finally managed to defeat his rival in the Junior Division of the US Youth Go Championships, and placed 5th later that year in the World Youth Go Championships Junior Division. 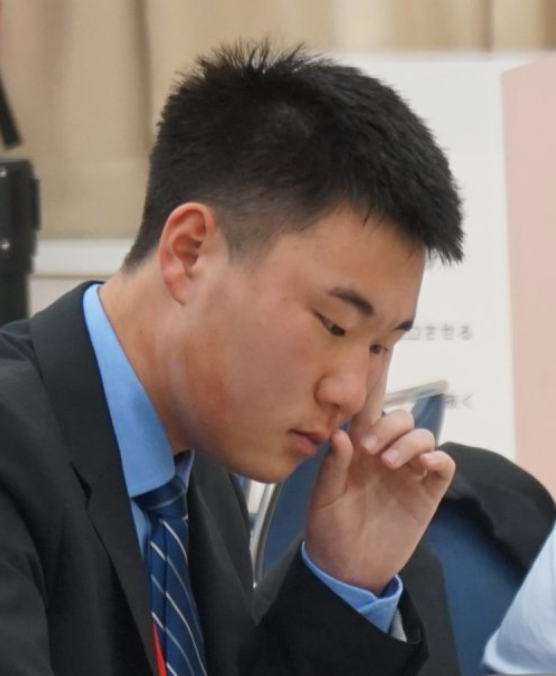 Chiu later represented the US again in the Senior Division of the World Youth Go Championships in 2015, where he placed 6th, as well as in the 2016 Korean Prime Ministers Cup and the 2016 International Amateur Pair Go Championships. Chiu is no stranger to success in the Redmond Cup, having won the Senior Division in 2016. He now has another chance to take down his rival this year. Aside from taking lessons from Mingjiu Jiang 7p, Jeremy studies go by playing on Tygem and Fox and using AI to assist him with reviewing his games. When tournaments are coming up, he also does some tsumego and watches commentated games from his favorite pro, Meng Tailing 6p, on WeiqiTV. Jeremy credits AI for being an invaluable tool for analyzing positions, and says that it has had a large influence on his tendencies in the opening. He hopes to be able to perform better in tournaments, represent the US more in international tournaments, and one day become a professional Go player. When asked for his thoughts about this match, he said, “Aaron is and has always been a tough but fun opponent to play against; his aggressive style and precise reading often launches our games into intense fights. I’m hoping we’ll play some exciting games!” Outside of go, he participates in math competitions, the Future Business Leaders of America club, and enjoys playing the violin, piano, and video games. In the Junior Division, 12-year old Ary Cheng 6d from Sunnyvale, California is defending his title for the 4th consecutive year, holding a dominating 6-1 record across his previous Finals matches. 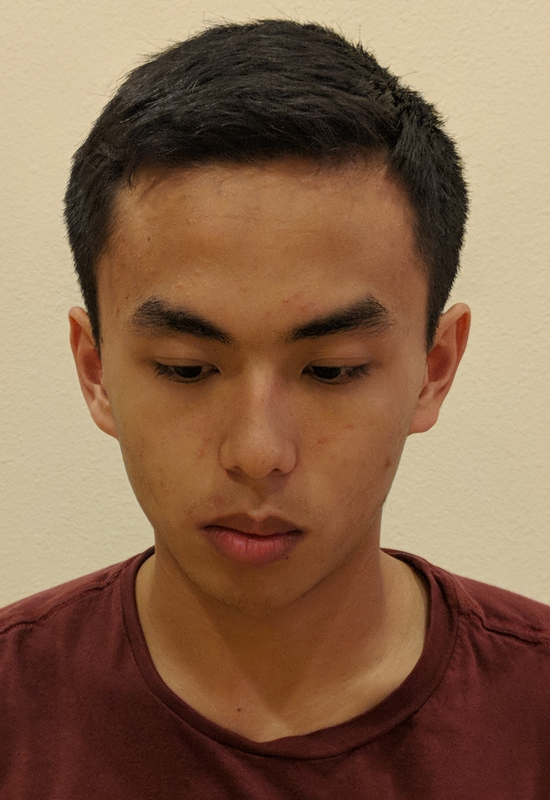 His 4th unique opponent, 11-year Frederick Bao 4d from Bethesda, Maryland, will take his first shot at dethroning the current king of the Junior scene. The Go Playing Friendship of Rotarians, a special interest group within the worldwide service organization Rotary International, is seeking US rotarians who would be interested in participating in their activities. The group started in Japan, and has been active in Korea and Taiwan, but wants to get US players involved, according to Takuhei Kanazawa of Tokyo Aoyama Rotary Club. Interested folks can contact AGA President Andy Okun at president@usgo.org. This 19th-century Japanese firefighting jacket is in the collection at the Seattle Art Museum. 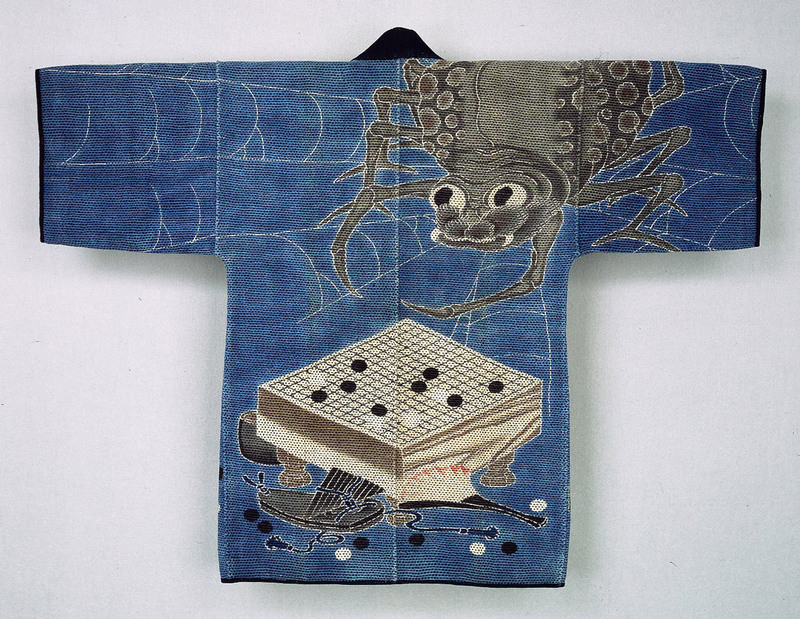 “The jacket tells a story from the life of Minamoto no Yorimitsu (948–1021), a warrior-hero,” according to a recent post on the museum’s blog. “The story is as follows: Yorimitsu was sick, and was resting in bed. He was visited by a priest—but the priest was actually a giant spider (tsuchigumo) in disguise! Yorimitsu, being very clever, sees through the disguise, and attacks the spider with his sword, wounding him. Yorimitsu’s four attendants, called the Four Heavenly Kings, were playing a game of go while guarding him, and leapt up to track the spider back to his den. Thanks to Steve Jones for passing this along.